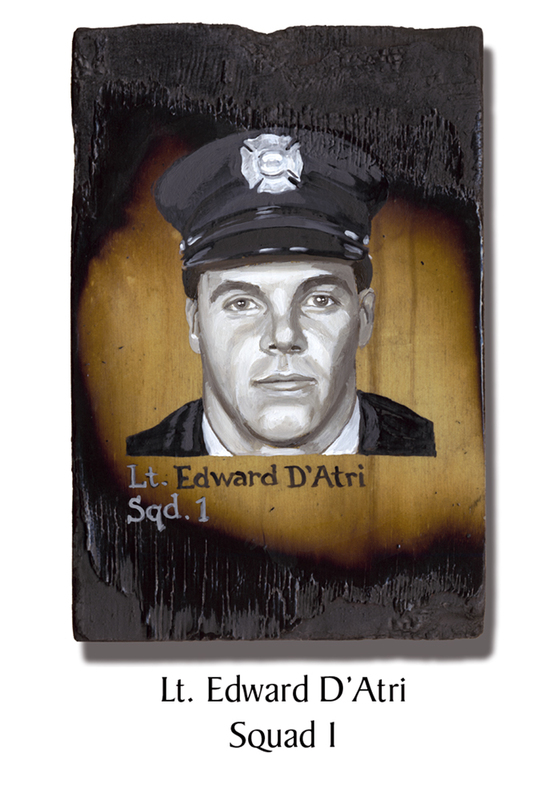 At 38, Lt. Edward D’Atri was a 16-year FDNY veteran. Off duty on 9/11, D’Atri left his Staten Island home around the same time his Squad left their firehouse. He was last seen going up a stairwell in Tower One, asking others if they had seen his Squad. D’Atri joined the FDNY when he was 21. After he became a Lieutenant in 1994, he served with Rescue Co. 2 and 4 before being assigned to Squad 1. Through his career, he received four citations for valor. He had two boys, 9 and 10, who loved to go to the firehouse with him and sit in the truck. They especially loved it when they got to stay overnight. A body builder once named Mr. Staten Island, D’Atri was also a black belt in karate who loved to read, particularly philosophy and books of sayings and quotations. D’Atri had just become engaged to be married again that June. This entry was posted in Better Angels Stories and tagged 343, 9/11, better angels, Dawn Siebel, Edward D'Atri, FDNY, firefighter, firefighters, firefighters of 9/11, LODD, Manhattan, memorial, NFFF, paintings, portraits, Squad One, World Trade Center, WTC. Bookmark the permalink.